I have no reason to not come back to Naam even when it is all the way in Kitsilano. I’m not a vegetarian but this is a must go to place in Vancouver, not to mention that it is opened 24 hours. Last time I had to line up for 20 minutes for dinner and it was worth the wait. Just to avoid the line up this time, we went a bit earlier. We got a comfortable banquette corner in the restaurant next to the window, but there were so many flies flying around us and our food. Kill them please. 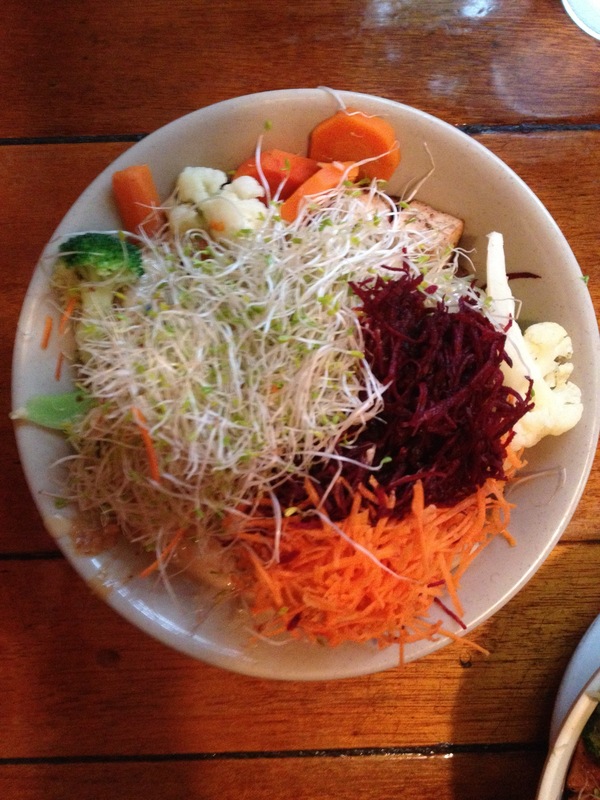 I was craving for The Naam Bowl (CAD10.25) I had last time with carrot, beetroot, broccoli, cauliflower, tofu, organic alfalfa sprouts, wakame, peanut sauce, seaweed, brown rice and miso gravy. I smiled when I saw the bowl of healthy goodness placed in front of me with assorted colours of healthiness thrown in. The miso gravy had a strong flavour so mixing all the veggies with the rice and miso gravy would be better and easier to eat instead of eating it layer by layer. 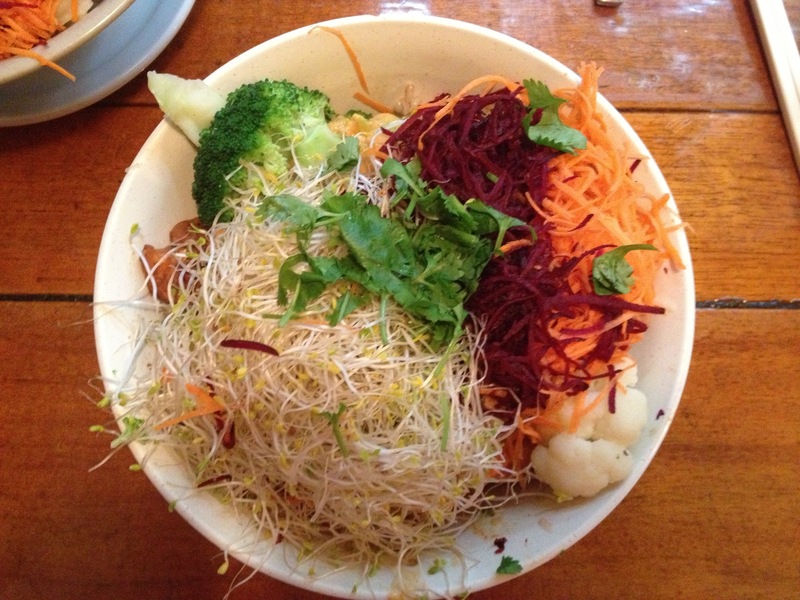 Jacky ordered the Thai Bowl (CAD11.75) and I could barely taste the coconut curry sauce mixed in with the beetroot, organic alfafal sprout, carrots, caulliflower, broccoli, tofu, fresh cilantro, and rice. Easy on the curry next time!